^ 1.0 1.1 （日文）機動戦士ガンダムSEED キャラクター解説 地球中立国（オーブ） 互联网档案馆的存檔，存档日期2011-05-21. ^ 3.0 3.1 3.2 3.3 官方人物關係圖“双子の姉弟”. "29th Anime Grand Prix 2006-2007". Animage (in Japanese) (學習研究社). May 2007. "＞＞第27回アニメグランプリ　［2005年6月号］" (in Japanese). Animage. June 2005. Retrieved August 11, 2009. "Newtype's Top 30 Male and Female Characters of Each Decade". Newtype (雜誌) (in Japanese) (角川書店). March 2010. Gray, Julie (August 26, 2006). 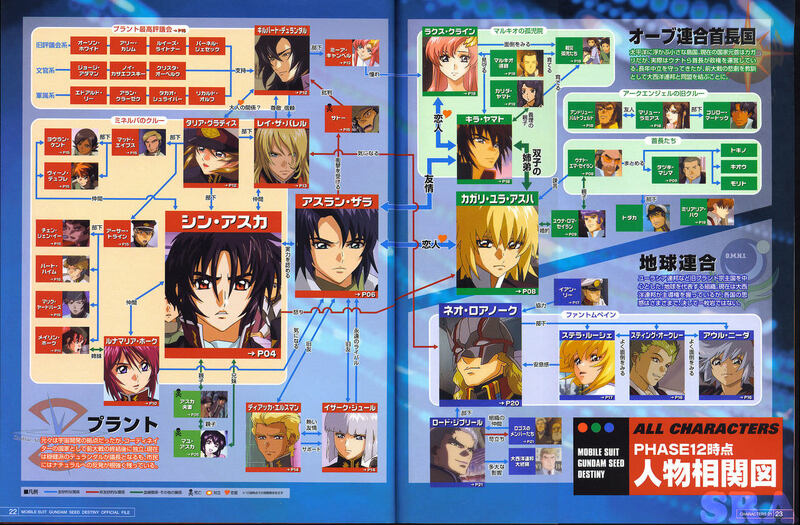 "Gundam Seed Destiny: Volume One". Comic Book Bin. Retrieved April 26, 2011. Martin, Theron (September 30, 2008). "Gundam SEED Destiny TV Movie II: Their Respective Swords DVD". 動畫新聞網. Retrieved April 28, 2011.